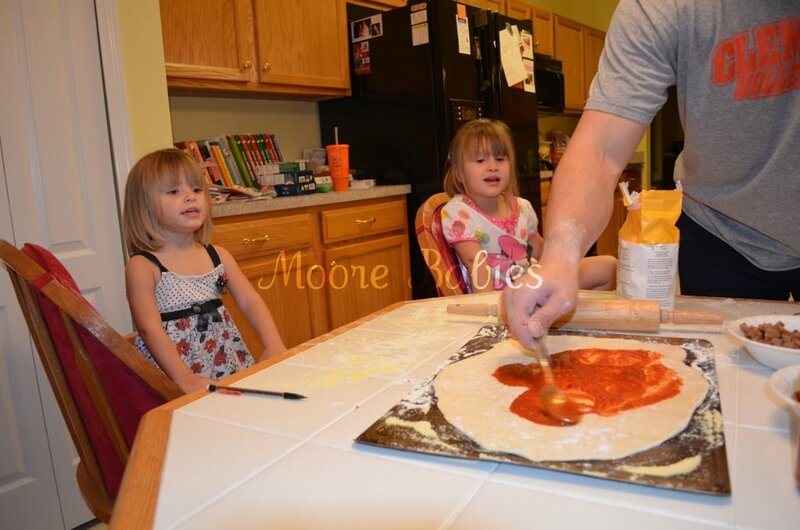 Moore babies: Pizza Night #17: 1st Pizza Night in the NEW House! 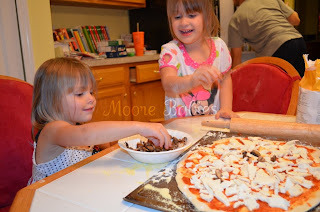 Pizza Night #17: 1st Pizza Night in the NEW House! We have officially been in the new house for 5 weeks and I think I am starting to get myself into a routine... which has been kind of hard because IN those 5 weeks we had house guests 3 times (ok, so it was just my parents for 2 times but STILL... a house guest is a house guest), went to Busch Gardens twice, celebrated Easter, and had my daughters 4th birthday party. Phew! 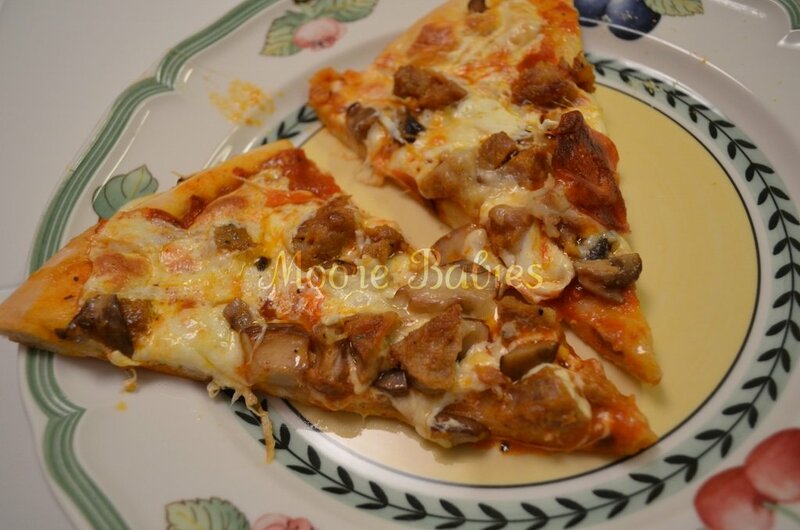 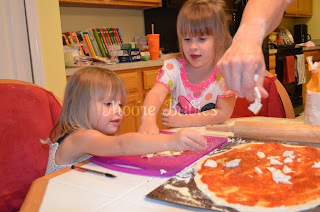 We did manage to start up on of our old traditions, Homemade Pizza Night, which was so fun! 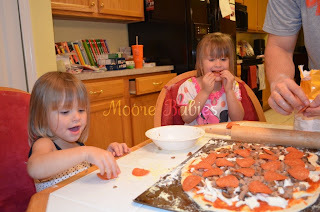 The girls love to watch daddy toss the pizza dough and help put on all the toppings. We didn't try a new pizza recipe, we just stuck with good old premade publix dough, fresh mozzarella, pepperoni, sausage, and mushroom.